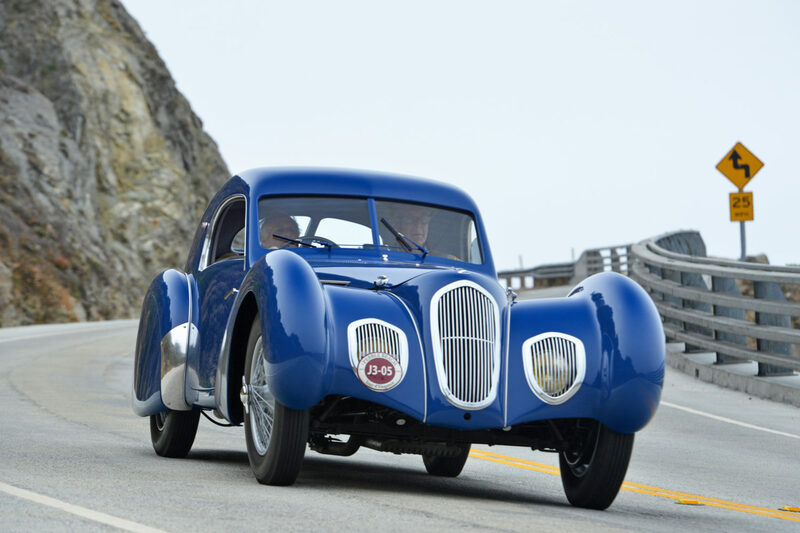 The Talbot-Lago T150C-SS Pourtout Coupé is arguably one of the finest aerodynamic designs ever. Only a handful of cars were finished with this incredible ‘Pourtout’ coachwork designed by Georges Paulin and built by Marcel Pourtout, but it wasn’t designed to just look great – this car actually raced. It was campaigned after World War II by Pierre Boncompagni, winning a number of hillclimbs and placing fourth at the legendary Montlhery circuit. That’s because underneath the gorgeous bodywork was a 4-litre inline-six engine with an aluminium head, and independent front suspension. In the 1960s this car was sold to a new buyer in the US, and later to Hong Kong in the 2000s before undergoing a full restoration to the condition in its today. Since its restoration the Pourtout has won awards at both the 2014 Pebble Beach Concours d’Elegance and 2015 Chantilly event.